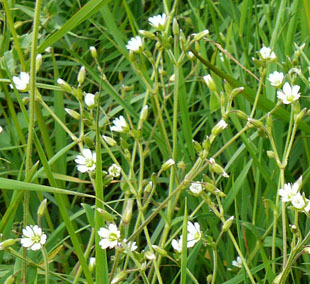 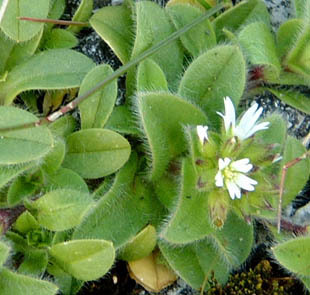 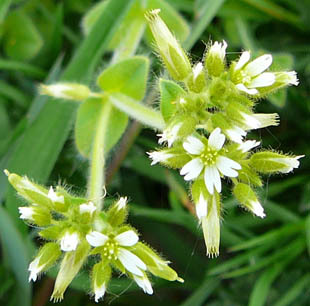 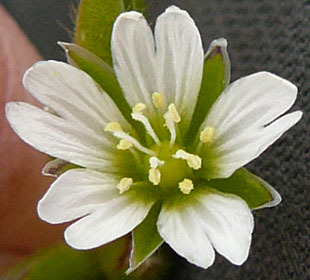 Flowers are white, 6-11mm across and with 5 cleft petals. 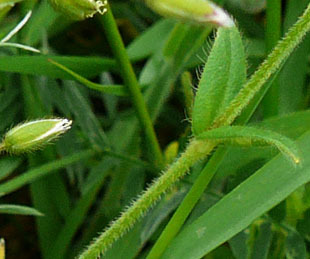 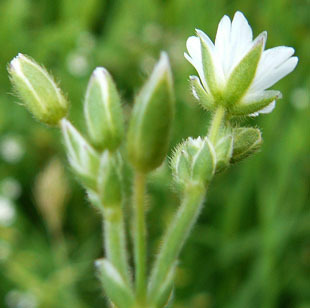 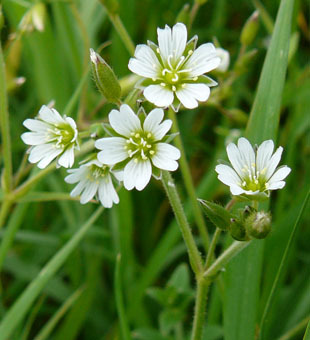 There are 5 styles and 10 stamens (Chickweeds have 3 styles). 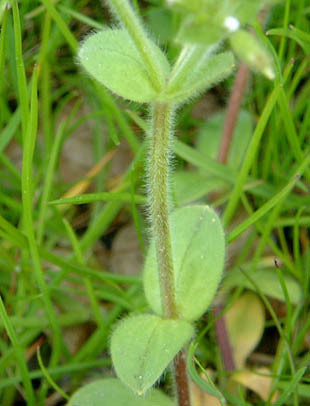 show a shorter and hairier plant.